In a landmark Judgment Supreme Court of India has convicted VK Sasikala, Ilavarasi and Sudhakaran in the disproportionate assets Case. The Division Bench of Justices PC Ghose and Amitava Roy has restored the conviction and sentence imposed by the trial Court in the disproportionate assets Case. Conviction and sentence against A2 to A4 (VK Sasikala, Ilavarasi & Sudhakaran) restored in full with all consequent directions. Since A 1 (Jayalalithaa) has expired, the appeals against her stands abated. Justice Ghose wrote the main Judgment and Justice Amitava Roy wrote a separate but concurring judgment. Sasikala, Ilavarasi and Sudhakaran have to surrender before trial court forthwith. VK Sasikala sentenced to four years imprisonment by trial court. So she has to serve rest of her jail sentence of three years and six months as she has already served almost six months in jail. 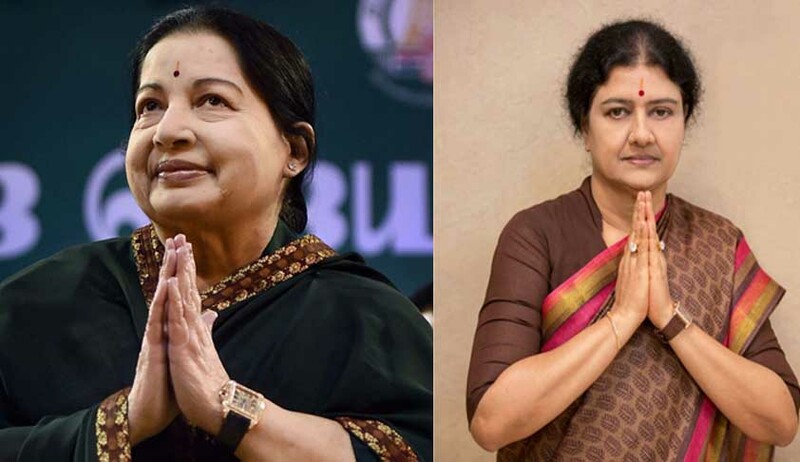 The Court was delivering their verdict on appeals filed by Karnataka Government against the May 11, 2015 acquittal of then Tamil Nadu Chief Minister Jayalalithaa her then aide N Sasikala and two others in a 21-year-old disproportionate assets case by the Karnataka High Court. The bench had reserved its verdict on June 7 last year. Jayalalithaa passed away on December 5 last year. During the hearing the bench had indicated that merely possessing assets disproportionate to known income does not amount to corruption unless the source of that income is illegal. The appeals were pending in the apex court when Jayalalithaa fought the Assembly elections and came back to power. A special court in Bengaluru had on 27 September 2014 convicted Jayalalithaa, N. Sasikala Natarajan, V.N. Sudhakaran and J. Elavarasi for amassing wealth disproportionate to their income when Jayalalithaa was chief minister of Tamil Nadu between 1991 and 1996. The court had sentenced all of them to four years’ imprisonment and imposed a fine of Rs.100 crore. The Karnataka high court on 11 May 2015 overruled the conviction, allowing Jayalalithaa to return as chief minister. The high court cited an error in computing the disproportionate assets and said they did not exceed the 10% of the stated income limit which warrants conviction. Apart from the Karnataka government (the prosecuting agency and the appellants) the court also heard an intervening application by BJP leader Subramanian Swamy. The SC bench had also asked Karnataka to prove that the source of money was Jayalalithaa and asked the prosecution to show evidence to the extent that the source of money was illegal. Karnataka had also requested confiscation of the immovable properties allegedly held by the four accused. In this regard, the trial court verdict had dealt with the assets of six companies allegedly attributed to the four accused. These are Indo Doha Chemicals and Pharmaceuticals Pvt Ltd., Signora Enterprises Pvt. Ltd., Ramraj Agro Mills Ltd., Meadow Agro Farms, Riverway Agro Products, Lex Property Development. The prosecution had alleged that these companies wereoperating “for and on behalf of Ms. Jayalalithaa”. “In essence, these companies were used as receptacles of ill-gotten cash for which no explanation was given during investigation nor during the trial. Such cash becomes the basis for largescale property being purchased where all negotiations were done at the house of A-1 (Ms. Jayalalithaa),” senior advocate Sidharth Luthra, appearing for Karnataka had submitted. Luthra submitted that unexplained/unaccounted cash inflows started when the co-accused of Jayalalithaa took over as additional directors of the companies without buying any shares. He submitted that the companies enjoyed inter-se transactions and even filed belated income tax returns, sometimes after a delay of five years. The companies, though incorporated before the check period, did not commence any business until the year 1994. In his reply, senior advocate Harin Raval for Jayalalithaa questioned Karnataka's locus standi to file an appeal against the High Court judgment setting aside the attachment of the companies' assets.